Who really has the cheapest car insurance? Who really has the cheapest auto insurance? Statistically, GEICO and Progressive have the cheapest auto insurance options. However, just because this is a statistical fact doesn’t mean that they have the lowest auto insurance for you. 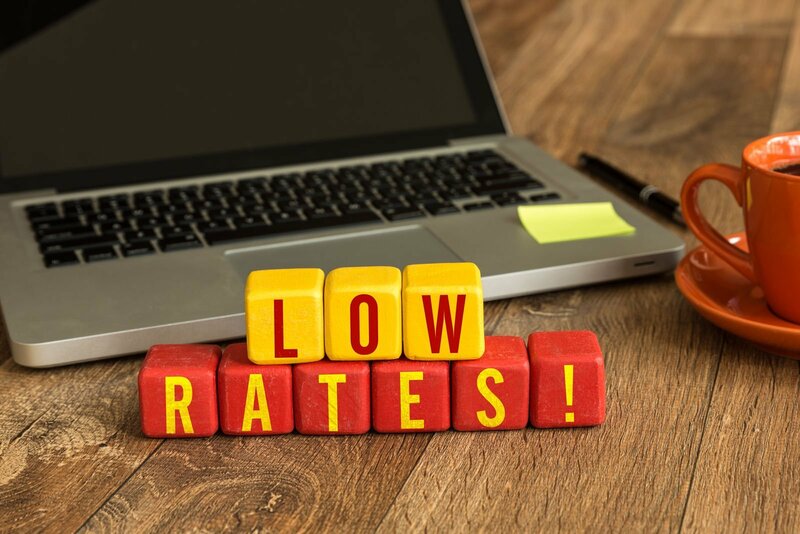 Many people have found lower rates at places like State Farm, Farmers, or other smaller local car insurers. Additionally, certain circumstances, such as claims paid by one insurance company, may affect your rates there but nowhere else. For example, if you have Progressive insurance and you had an accident, then your rates with only Progressive may increase. On top of that, it is possible that your rates will never be as low as they were before the accident because Progressive had to pay a large claim on your behalf. That’s why it’s so hard, if not impossible, to determine the cheapest auto insurance for every type of driver. Coverage for a Texas family with 3 teenage drivers is totally different from coverage for a family in Pennsylvania that doesn’t have any teenage drivers. However, despite the different varieties in situations, you can find the right quote for your situation by comparing rates between insurers. Instead of going to each individual insurer and asking for a rate, use our FREE online comparison tool to compare across multiple companies! Why is car insurance cheaper in some states than it is in others? Why is my neighbor’s insurance so much cheaper than my insurance? Can I contest the rates my insurance company charges me? Many people are shocked when they move from one state to another to find their insurance rates skyrocket. The problem is, not only can insurance rates vary from one state to another, they can vary from one zip code to another! So, which state has the lowest auto insurance rates? Well, the rates for the state that you live in start with a limit set by the Department of Insurance or an equivalent government entity. Insurance companies then work within the confines of those caps to determine how much you will pay for your insurance. These caps vary from state to state and change often. The state gives the insurance company a lot of wiggle room when it comes to determining how much of an increase they will add to a policy based on their chosen criteria. No state mandates what an insurance company can deem high risk or what they can’t, which is a reason that you often see a vast difference in rates between insurance companies. One of the criteria used to determine how much insurance will cost in states, and even different zip codes, is the driving statistics for that area. If you have moved to an area that has a high number of traffic accidents, then rates will be higher than an area with low traffic accidents. The same thing applies to high crime areas. Where there is high crime and, more specifically, high levels of car theft, then you can be certain that your rates will be higher than someone who lives in a low crime area. Once the insurance company determines the rates for the area that you are living in, they start looking at you personally. Your rates depend on a number of personal factors, such as your driving history and credit score. If you have a long history of traffic tickets and car accidents, for example, then your rates will more expensive than someone in the same neighborhood with an excellent driving record. In addition, the insurance company looks at things like your credit rating, other authorized drivers, the type of vehicle you are driving and more to determine how much you will pay. If you think that your insurance company is charging you more than they should, your first step should be a phone call to the company to determine why your rates are so high. There are some instances where the insurance company might make a mistake and charge you more because of a duplicate entry in their records. For example, if you had a car accident on October 1, 2010 but were ticketed on October 11, 2010, then the insurance company may have that as two separate events in their system than one related event. The insurance company isn’t required to do any legwork to determine the information they receive from the DMV is correct, so it is up to you to ensure that they are only assessing existing accidents and tickets when determining your rates. You can also talk to your state’s insurance commission but, if the insurance company is within the cap for their rates, don’t expect to get any results this way. The truth is that your best course of action will be to shop around and find better rates elsewhere. Who has the cheapest auto insurance in your area? There’s only one way to find out! Enter your zip code below and compare quotes now!